You’re never likely to get overly excited by Nissan’s Almera, but if you’re after sensibly priced transport that’s uncomplicated and sure to be reliable then you could do a lot worse. Plentiful choice is useful too, though a Ford Focus is more interesting to drive. Last produced in 2006 the Nissan Almera remains a popular used purchase. Nissan never directly replaced the Almera, instead giving customers the choice of the crossover Qashqai or compact MPV Note. That leaves Nissan missing a conventional small family hatchback and saloon in its line-up, which goes some way to explaining the Almera’s popularity on the used market. Neat, if unremarkable, styling inside and out and a decent enough drive underpin the Almera’s appeal. The demise of the Almera underlined a change in tack for Nissan, this small family hatchback and saloon being pensioned off with its bigger Primera relative to be replaced indirectly by a number of models including the popular Qashqai crossover. 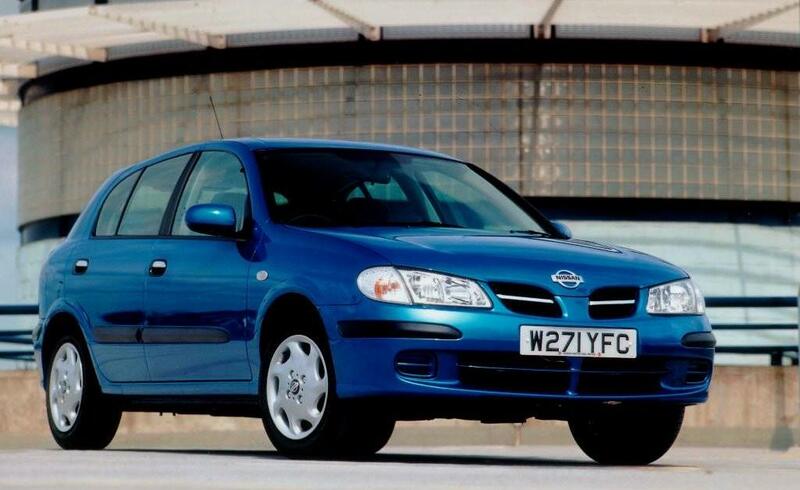 Not available new now since 2006 the Almera isn’t in its first flourish of youth, but the solid build, decent drive and promise of reliability mean it remains a worthwhile used choice. The engine line-up is underpinned by Nissan’s 98hp 1.5-litre petrol engine, it taking the majority of sales, though there is a larger 1.8 petrol as well as 1.5-litre and 2.2-litre turbodiesel choices with differing outputs. Body styles follow the small family car norm, with a smart three-door hatchback joined by a more useful five-door version and a neat saloon. Of the three it’s the saloon that’s the biggest seller in Ireland, with plenty of choice available on the used market. Specification levels changed during its six-year product run, with a sharper styled model arriving in 2003, its interior benefitting from smarter materials and a revised design. Trim levels vary through the lifecycle, but SXE models are popular and bring a comprehensive standard level of equipment. Opt for the 1.5-litre petrol engine with a manual transmission in four-door guise and you’ll not be short of choice from dealer forecourts and private sellers. SXE trim is popular, it bringing air conditioning, electric mirrors and windows, a trip computer and remote central locking among its lengthy equipment list. Prices are keen too, the Almera proving to be a sensible and cost effective choice in the used car marketplace.